Winter can be so cruel to our skin. However, this year I went on a 7-day journey to achieve glowy bouncy skin despite the weather conditions, so I gave iYura Kesaradi Oil and Manjish Glow Elixir a try. This precious bottle of oil not only contains Saffron – an extremely expensive glow-giving herb but also rose oil, known for its beauty, turmeric and other powerful Ayurvedic herbs and unique flowers like Manjishtha, Lodhra, Priyangu, Kamal, Palashphool and more. What drew me to the products is that they contain no artificial binders, additives, or heavy metals. 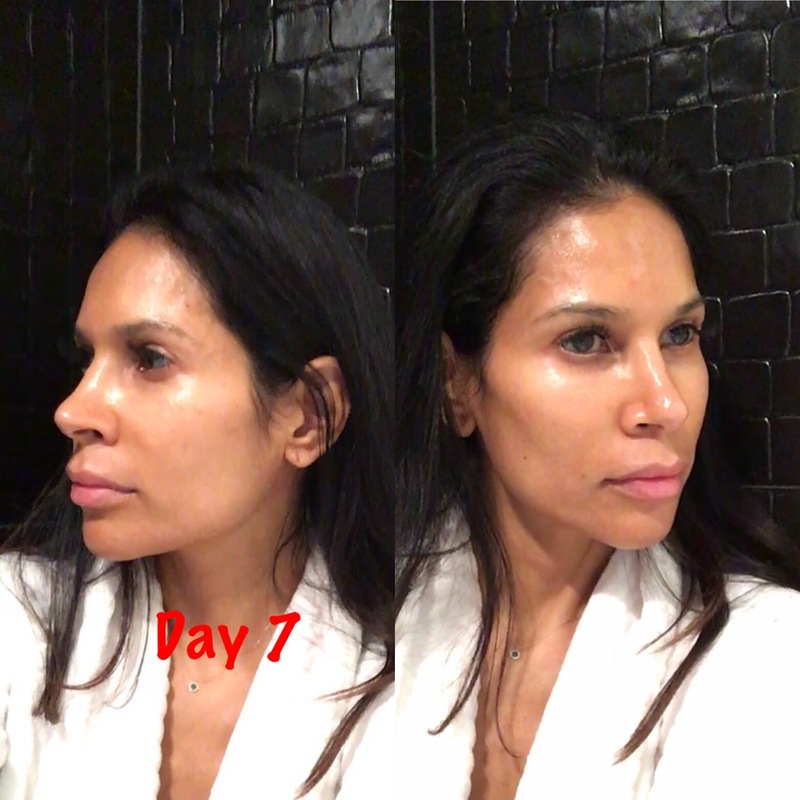 Day 1-7: Used both oils in the am and pm. As you can see my skin was lifeless. After three days of use, I noticed a more pinkish alive look to my skin. The feel of both products is silky with a gentle herbal smell. 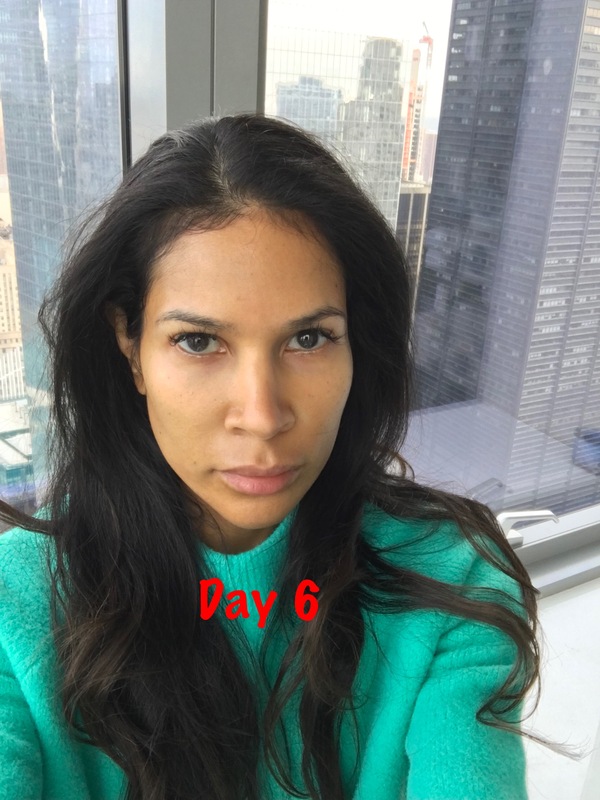 On the last two days of using the product, I decided to apply it alone without any serums, or a moisturizer. The natural gold shimmer on my skin was incredible. The entire day my face felt supple and smooth even at 30-degree Fahrenheit. I recommend these products if your skin lacks moisture as well as elasticity. IYURAINGRID for a 10% discount. This is a sponsored post by iYura. The opinions are entirely my own based on my experience.